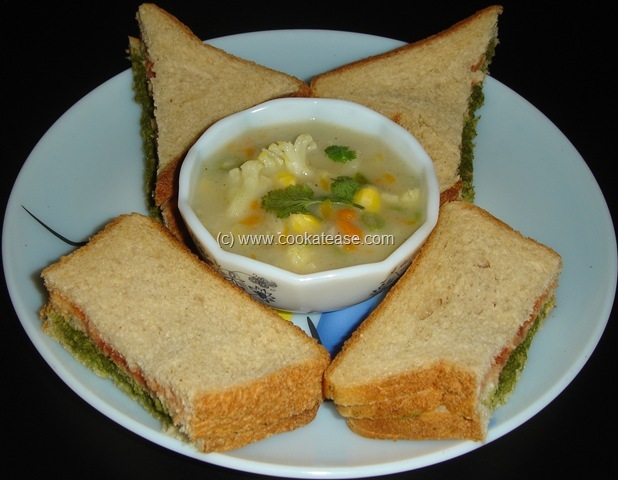 Sandwich is such a nice food that you can make it very light as a low calorie meal and can also be made very rich in calorie by using more cheese and other high protein fillings. I make Ribbon Sandwich as a simple light meal whenever my family needs it, specially after the festive season. This goes well with mixed vegetable soup. I like to share it with you all. 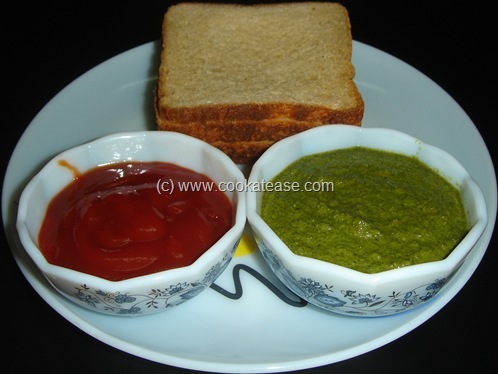 Apply mint chutney on a bread slice; place one more bread slice on top of this slice and apply tomato sauce; close this slice with one more bread slice and press gently; cut into triangular or rectangular shape. Filled bread slices can be neatly cut into triangular or rectangular shapes, after refrigerating for 30 minutes. This post is part of the event “WYF: Light Meal” hosted by Simple Indian Food. 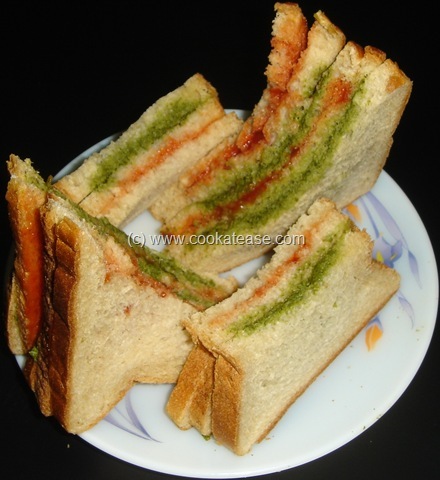 Colorful and healthy Sandwich.. Yummy it must be!! 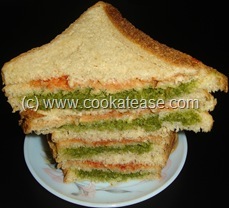 Thats definitely a delicious sandwich!